Perhaps the most beautiful of the great English Cathedrals. 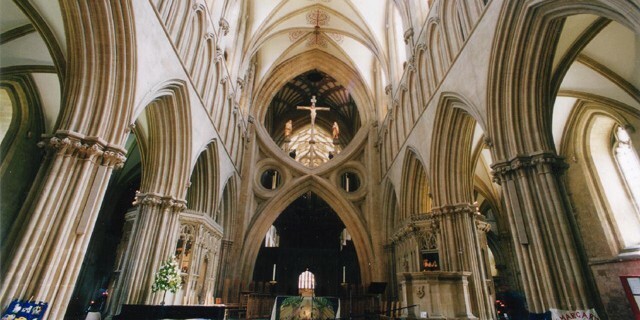 The Cathedral, situated next to natural springs rising up from beneath the Mendip Hills, has been a holy site for nearly 2000 years and stands adjacent to the medieval Bishop’s Palace and Vicars’ Close, the oldest continuously inhabited street in Europe. 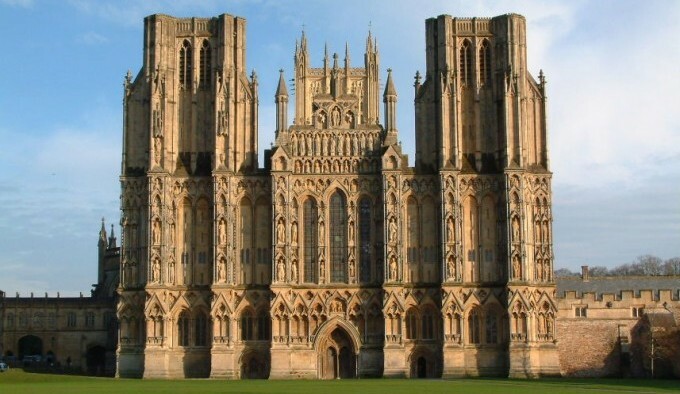 Take a peek at the graceful scissor arches, the humorous carvings on the pillars and the deep colours of the stained glass, and if you’re lucky, you can catch Evensong and hear the exhilarating voices of the world-famous Wells Cathedral Choir.